So you’re in Florida and you want to make some waterfall photos. I hope you’ve got other plans too – because waterfalls are a tough assignment in the sunshine state. We have plenty of water (well, most of the time), but we’re one of the flattest states in the US – so we tend to come up short on the “falls” part. You can photograph waterfalls here – not the grand vista kind you’d see in other places like Yosemite or Alaska – but still scenic and worthwhile. Yosemite National Park, California: Bridalveil Falls through blooming Pacific dogwood tree. Sorry, not in Florida. Where in Florida can you photograph waterfalls? If you look at the Wikipedia article on waterfalls of the world, you’ll see that the Florida section lists just one: Falling Waters State Park is in Chipley just south of I-10 in the Florida panhandle. Falling Waters State Park sinkhole – When it’s a waterfall, this is Florida’s tallest one. If the stream at the top is flowing, it falls 73 feet down into this 100 foot deep, 20 foot wide sinkhole and disappears into the Florida aquifer. This park has some unique geology. Sinkholes line the boardwalk and you can descend part way into the main one pictured above. When the small creek that feeds the falls is flowing during the wet season, the waterfall can be quite impressive. It wasn’t on the day I visited :-(. Check with the park before you go – you can reach them at 850-638-6130. If you do some Googling, you’ll find a couple other Florida waterfalls mentioned. Falling Creek falls is a small (~5 foot) waterfall in north Florida near the intersection of US 41 and I-75. Devil’s Millhopper Geological State Park is near Gainesville. Similar to Falling Waters, it’s a bowl-shaped sinkhole over 120 feet deep and 500 foot across. You can follow a trail and see streams falling into the sink and the resulting small waterfalls. You can also descend into this sinkhole to view the inside. The tiny waterfalls here trickle down the embankment before they too disappear into the Florida Aquifer. Rainbow Springs State Park is the home of Florida’s 4th largest spring. It was a privately owned commercial attraction up until the 1970s. It’s now a state park and in addition to the spring, has some very pretty gardens and several man-made waterfalls fed by water pumped from the spring. Rainbow Springs is a very pretty place. The Rainbow River is one of the clearest waters anywhere. The falls too are pretty. The morning I was there, only one had any water flow at first. Before I left, they’d turned on the others and I was able to photograph them too. If you want to show the water motion as a silky smooth stream, you’ll need to use a slow shutter speed. This depends to some extent on how fast the water is moving, but a good starting point might be 1/2 second or so. Experiment with different shutter speed settings to see which ones you like best. You’ll need a tripod for slow shutter speeds, so bring yours. If you have too much light to get the slow shutter speed you want, try using a polarizing filter or a neutral density filter. Be careful with your exposure. It’s easy to over expose the water since there’s often a large contrast range between it and the surrounding area. Make sure to check your histogram and think about bracketing your exposure. Do you have any other waterfall photography hints to share? Do you know of any other Florida waterfall locations? If so, please let me and others know in the comments. I have a couple more photos from Falling Waters in this set on Flickr. You can see photos of the other Rainbow Springs waterfalls in this set. 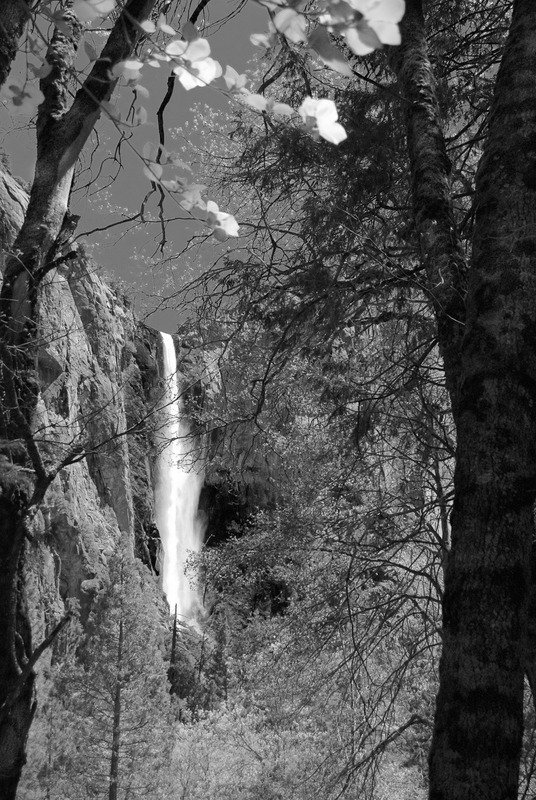 And finally, this one has some of my other waterfall photos. All very interesting, informative and enjoyable – and with great illustrations! Itching now to find the nearest waterfall, but England seems very poorly served! Thanks for your comment, Rhona! Wikipedia lists many waterfalls in the UK in general and England in particular. Judging by the images that come up in google search, they’re quite beautiful. Good luck with your search – I’m looking forward to seeing some of your waterfall photos.